Monroe Misfit Makeup | Beauty Blog: Too Faced The Ultimate Chocolate Box Now Available! 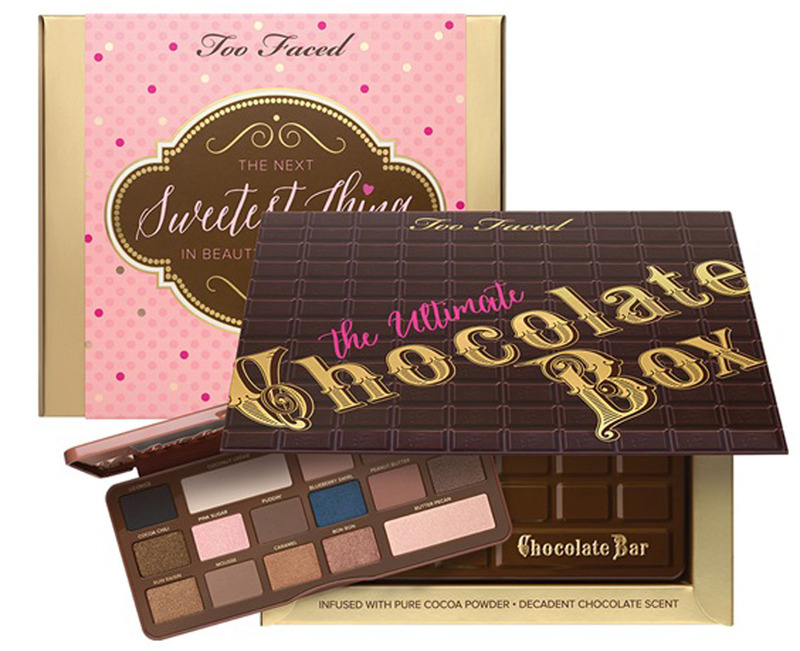 Too Faced The Ultimate Chocolate Box Now Available! It's here! Too Faced's The Ultimate Chocolate Box that I shared over the Holiday's is now available for purchase at TooFaced.com This would make an awesome Valentine's Day Gift! Our Chocolate Bar Collection contains sixteen decadent shadows in shades of natural browns, delicate pinks and luscious plums. And now there’s twice the temptation with Semi-Sweet Chocolate Bar, our newest collection inspired by the bestselling original. Semi-Sweet includes warm caramels, deep chocolate hues and a pop of blueberry—the perfect finish to your beauty binge. Each collection includes our signature how-to Glamour Guide with three looks to get you started. But don’t stop there—the options are limitless, and they’re just too good to resist. Both of these are great palettes to have in your collection!